The Community Campus CoLaboratory includes four theme-specific labs that were co-identified and co-created by community and university partners. Scroll down to see each of these labs and click on the lab name to learn more. The Mobility Lab is a collaborative initiative by Evergreen, the City of Hamilton, and McMaster University. The purpose of the Lab is to develop a network of transportation users, builders, advocates, and practitioners to identify shared priorities for Hamilton's transportation system and to move forward on them as a collective. Currently, there are 30 members of the lab representing more than 20 local community groups, organizations, and institutions. The Digital Literacy Social Lab is a collaboration between the Hamilton Public Library and McMaster University. The project is based on the premise that as the world becomes more digital, it is essential that individuals become more digitally literate in order to fully participate and engage in their communities, whether these communities are local or global in structure. Any initiative with the goal of promoting digital literacy skills and digital literacy awareness among members of the Hamilton community would be a valuable sub-project within the larger Digital Literacy Social Lab framework. The Food Security Lab will be exploring the existing food system in Hamilton, bringing together stakeholders working in all areas of the system to identify potential leverage points for addressing issues of food security and insecurity. 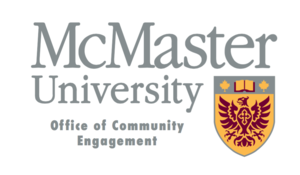 The Lab includes colleagues from McMaster's Faculties of Social Sciences and Health Sciences, and will be bringing a range of community partners on board over 2017-2018. 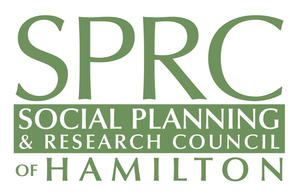 The Business Out of the Box Lab is a collaborative initiative by the Social Planning & Research Council of Hamilton and McMaster University. Business Out of the Box is an initiative that uses retired shipping containers to create affordable spaces for low-income individuals to launch small businesses within a community. Inspired by similar projects implemented locally and globally, the Business Out of the Box Lab will explore whether a made-in-Hamilton solution can be prototyped in Hamilton over the summer of 2018.